ICMA is a nonprofit dedicated to advancing professional local government management throughout the world. Local Gov Life is a mix of stories, insights, and advice from local government leaders. Local governments and volunteers are a match made in heaven. 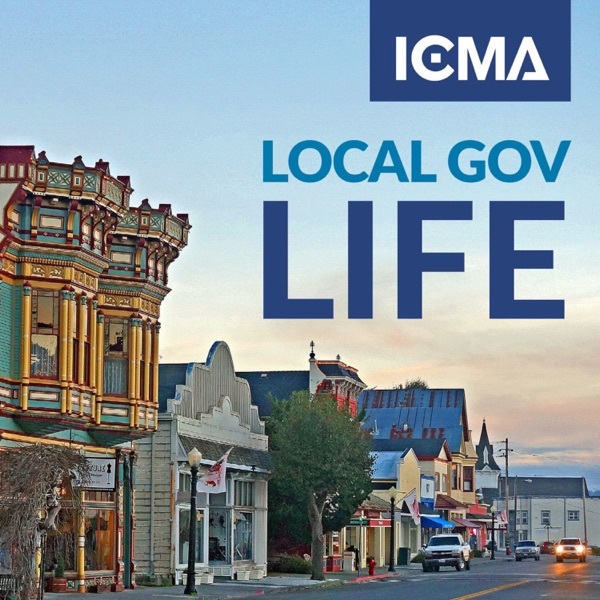 In this episode of Local Gov Life, ICMA Members discuss the benefits of getting residents involved in volunteering programs. We caught up with some ICMA members at our Annual Conference in Baltimore to learn what it means to be a good mentor, and some of the most valuable ways that you can pay it forward. In this episode of “Making a Difference”, Chris Clark, a city council member from Mountain View, California, shares his views on the importance of professional local government management. In this Episode, Bertha Henry talks about the challenges her community faces and has faced—from natural disasters to the recent school shooting in Parkland, Florida—and how it has brought people together. In this episode of “Making a Difference," we sit down with Dr. Robert Fortner, community stakeholder and activist for the council-manager form of government. We sit down with Carl Valente and discuss the current state of the local government management profession and why it feels great to make a difference in people’s lives. In this episode, Chris Volkers, City Manager of Moorhead, Minnesota, talks about advice she received when she was starting her career—listen first before you speak—and gives advice to young women now beginning their careers. In this episode of United Front, Marcela Piedra, the first female CAO of El Centro, California believes that no matter where you are in your career, you always need to be learning. In this episode of United Front, Gina Holt opens up about her longstanding career in government (both private and public) and discusses what it has been like as a woman working in a male-dominated field. In this episode of United Front, Dana Muscott, city manager of Bay City, MI, opens up about the importance of work/life balance and why it's okay to just say no. In this episode of United Front, Bonnie Svrcek, city manager of Lynchburg, VA, opens up about her career and also discusses various aspects of women in the workplace. In this episode of Local Gov Life, ICMA member, chief resiliency officer, and assistant city manager of Miami Beach, Susanne Torriente, sits down with ICMA to give us a snapshot of Miami Beach's current infrastructure, discusses how residents take part in the fight against climate change, and provides great insight for other local governments planning to build rising sea-level resiliency programs in their community. In this episode, Professor Patrick Malone reflects on the leadership lessons he learned first hand in the wake of 9/11 and how he sees them being applied on a daily basis on the local government level. In this episode of Local Gov Life, Simon Markham describe how his New Zealand community continues to rebuild seven years after a devastating earthquake. In this episode of Local Gov Life, Kurt Wilson, City manager of Stockton California discusses his city's fiscal crisis and its aftermath. In this episode of Local Gov Life, Tim Gleason, former city manager of Washington, Illinois, discusses how he managed the crisis of an EF-4 tornado striking his community. In this episode of Local Gov Life, A.C. Gonzalez and Sana Syed cover how they navigated the Ebola crisis that struck Dallas three years ago. In this episode of Local Gov Life, Paul Shives looks back at preparedness and response efforts, talk about the community's challenges - then and now, and reveals leadership lessons learned from the worst natural disaster in the state's history. Episode 6 of Local Gov Life explores this issue by asking next-generation leaders and managers about effective ways to attract and retain young talent in local government. Episode 5 explores how communities use collaboration and innovation as effective tools for responding to the current opioid crisis. This episode helps the listener prepare for the 2016 ICMA Annual Conference in Kansas City, Missouri. Listen to host committee members and conference attendees discuss how this year's conference will be a 'transformative' experience. Episode 3 takes an in-depth look at the downtown initiatives of three different communities and the strategies their local government leaders are using to reinvigorate their downtown districts. Local Gov Life - S01 Episode 02: Go Ahead—Laugh! This episode takes an in-depth look at humor in the workplace and explores how leaders use humor as an effective leadership tool. This episode of Local Gov Life takes an in-depth look at volunteering and will look at how communities attract and manage volunteers.